As many of our regulars may already know, the Riverview Farmers Market hosts live music the first Sunday of every month from May through November. This month, our First Sunday coincides with the Riverview Jazz Festival (June 1-9), a weeklong festival offering 40 performances throughout Hudson County. Riverview Jazz is bringing jazz trumpeter James Gibbs III to the Market, where he’ll perform two sets, at 12:20 and 2:30. You can visit and RSVP on our Facebook page for this event! James Gibbs III, a trumpeter, educator, composer, producer, and band leader, is currently touring with Grammy nominee Joe Thomas composer of songs like “Things Your Man Won’t Do,” “I Wanna Know,” “Stutter,” “More and More,” “Ride,” and many more hits. James has performed with such legends as Wynton Marsalis, Donald Byrd, Dr. Betty Carter, Jerry Stiller (Broadway actor, singer, and television star), and heavyweight champion Smokin’ Joe Frazier. 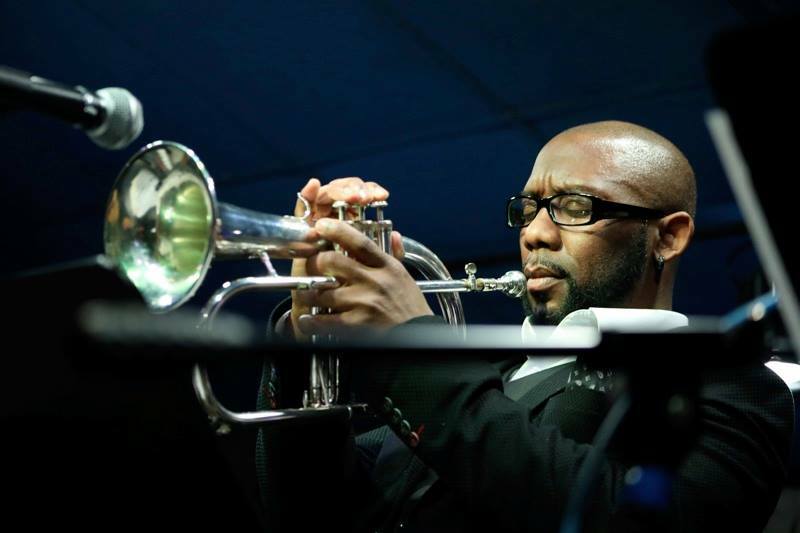 Born in Newark and raised in Irvington, NJ, James is a self-taught trumpeter. He also trained musically at the former New Brunswick Jazz Institute under organist and educator Radam Schwartz. James performs various styles of music from originals, to covers ranging in forms from rock, R&B, and jazz, to country, ethnic, and classical. The Riverview Farmers Market is grateful for the ongoing support of the Riverview Neighborhood Association and the City of Jersey City.